We have been home from our holiday for 3 days now and it is over a week since my last post. I hope you all had a relaxed and happy Christmas, wherever you were and whatever you did. We had a delightful day which we shared with our daughters and some festive food but did not over-indulge. The other shopping I did on my holiday was a little more planned than the random collection from my last post. I went to my favourite shop in Melbourne, Rivette & Blair, where I replenished my supply of tops. The are all simple styles and basic colours that will mix and match with existing pieces in my wardrobe. A simple v-neck black and white tee. The same style in plain red. 3/4 sleeve red with scoop neck for cooler days. Both of the red ones are waiting to be ironed. Plain black linen with pleats at neckline. This is the same style as 2 spotted tops I already had. Finally, a loose navy v-neck top in very fine polyester. It is super light and cool. I look forward to sharing the different ways I wear these as I mix and match with shorts, trousers and skirts. Project 333 – A Capsule? 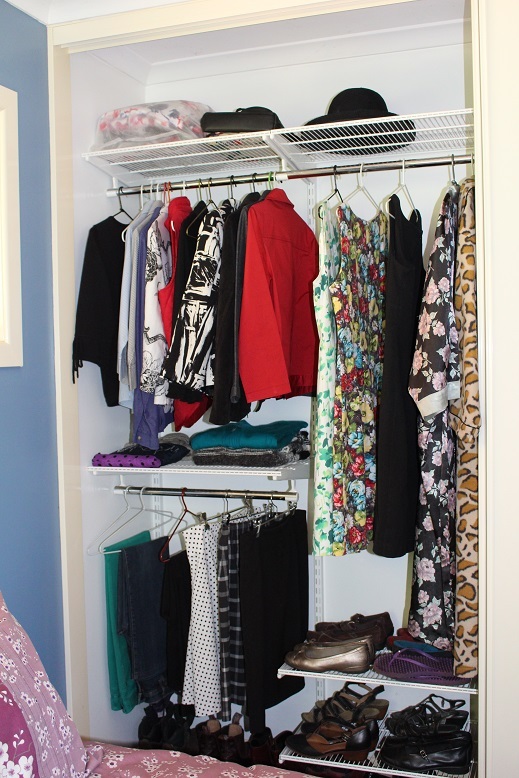 Since I first tried the idea of Project 333 back in 2012, I have used “Project 333” as the preface for the title of all my blog posts about my streamlined wardrobe. I would like a similarly short, snappy preface that is unique to my blog posts so I will give it some thought but in the meantime I will use “Project 333”. I read and hear of a capsule wardrobe, winter/spring/summer/autumn capsules as well as formal capsules and gym capsules to name but a few. Confused yet? I certainly am. Here is the Wikipedia definition. 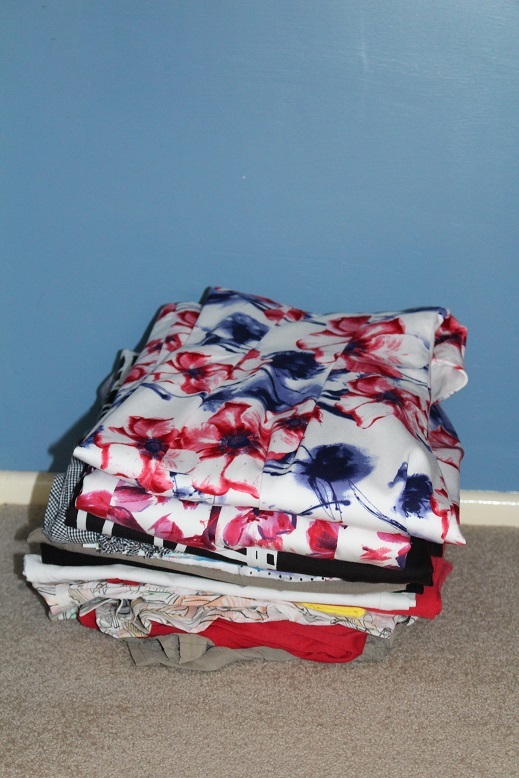 My wardrobe has never been bulging at the seams but I have had the same issues that many other women have identified and that is the feeling of looking at a collection of clothes and feeling that you have nothing to wear. This seems to lead to random purchases which only further compound the problem. Therefore, I have chosen to carefully select clothes which truly fit my lifestyle and reflect my personality. I live in a fairly temperate climate so have very little need for heavy coats. We do not have clearly defined seasons and generally have more warm weather than cool. It is currently winter and the weather is as cold as it gets with overnight temperatures as low as 5C and some days when the maximum is only around 15C, however, on Sunday the daytime temperature reached 25C. You can begin to see the folly of packing all warm weather clothes away for a 3 month period. Nevertheless, I did remove some of my true summer clothes from my wardrobe a few months ago and it is easier to see exactly what season-appropriate clothes are available. As I have continued to define and refine my style over the past few years, I have found that I tend to purchase multiple items of the same style. 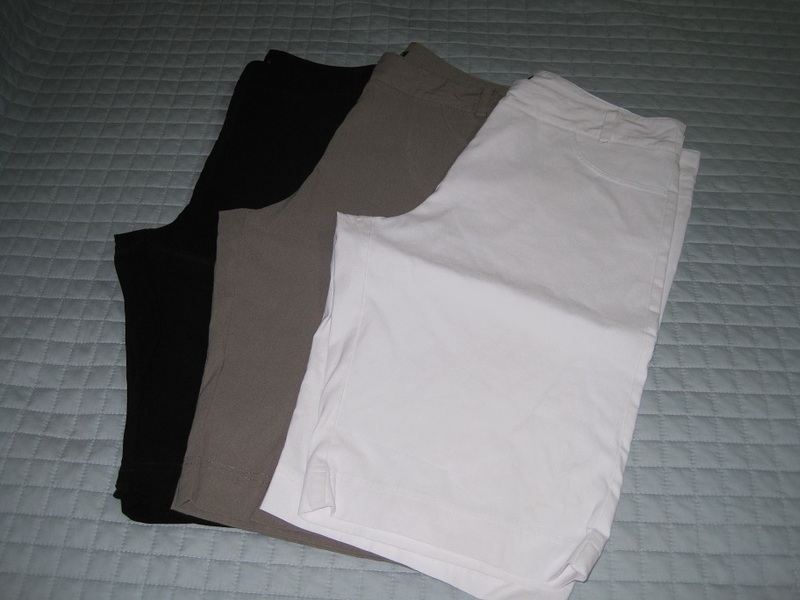 For example: I have 3 identical pairs of shorts – black, white and khaki as well as a very similar pair of red ones. When I find a style that fits well and suits me, why not buy multiples? 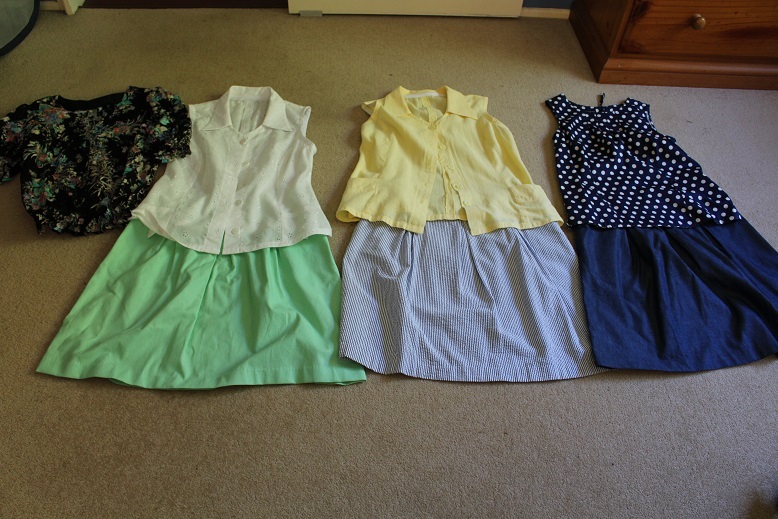 4 dresses, 2 cardigans, 2 pairs of jeans and 2 skirts are other examples of where I have more than 1 colour of the same style. I guess it is a matter of ‘when you are on a good thing, stick to it’. What do understand by the term ‘capsule wardrobe’? Have you tried to pare down the selection of clothes? What tips do you have? There is nothing like a change in the weather to help identify gaps in the collection of clothes. After a long, hot summer that I thought would never end, the weather has turned quite cool. My cool season selection is somewhat depleted with the departure of three tops at the end of last winter. 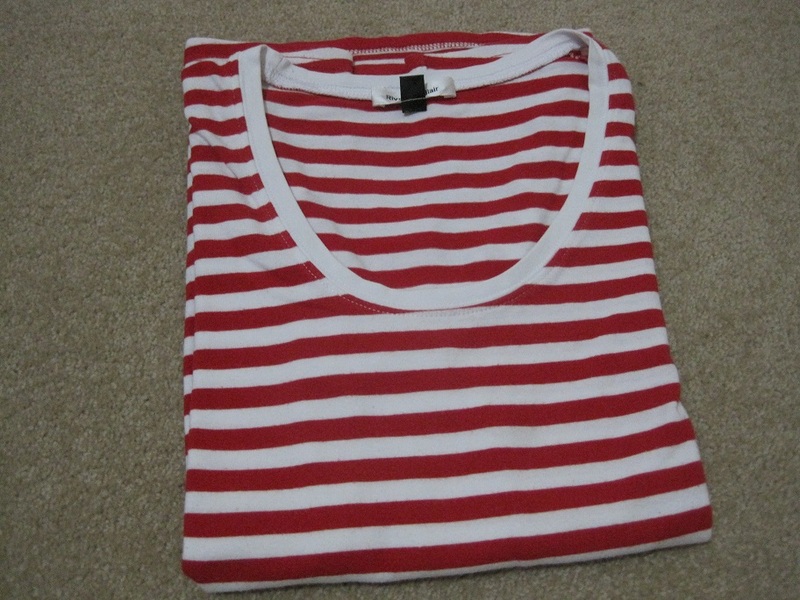 I had this red/white striped 3/4 sleeved one as well as two black/white ones of the same style. They were at the end of their life so I wore them to death on our holidays and then sent them to the op shop when we arrived home. However, I have yet to replace them. I am not sure what I want so I expect I will need to make a concerted effort and have a look around. I also need another pair of trousers for work as I have one pair of black trousers. Then there is the small matter of a coat. I have a long, navy overcoat which is over 20 years old but in perfect condition. 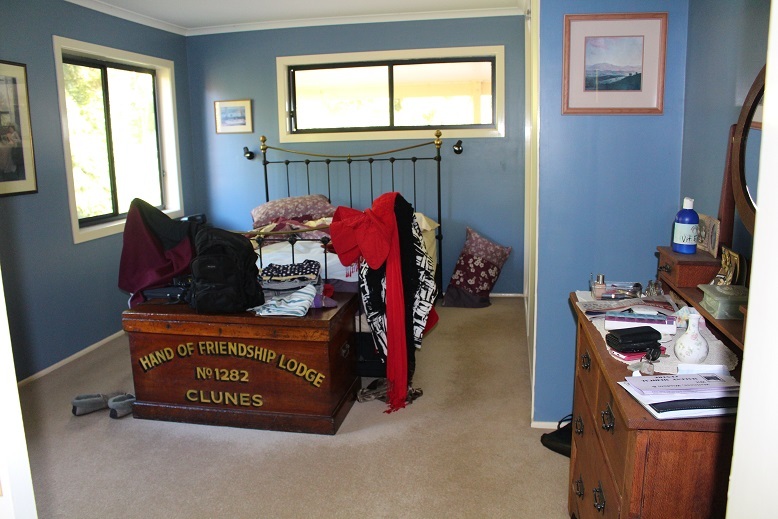 It is more than I need in Queensland so I am thinking of parting with it and getting something more suitable. I envisage a hip-length coat, preferably charcoal grey or black. I have been so busy at work for the past couple of weeks that I have barely had time to keep up with the basics of washing and cooking, let alone considering changes to my wardrobe. I hope to make time this weekend to look carefully at what I have and what I need. Adding to my wardrobe may seem to be contrary to the essence of Project 333 but it is not about denial but having a small collection of clothes that you love and wear. The more I work with what I have the more clarity I have about the direction I want to take. 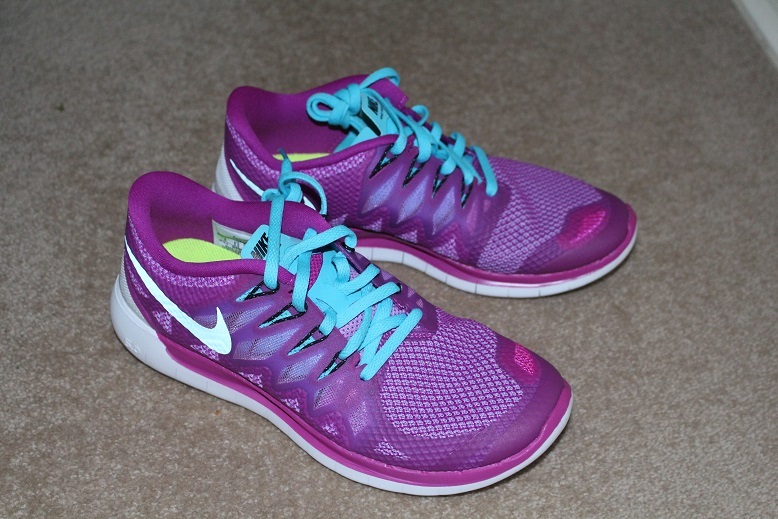 Last week I bought a new pair of shoes but they do not really count as they as for walking (exercise). I did consider actually selecting 33 items to participate in Project 333 this autumn (fall) as I am in the southern hemisphere. However, I am constantly drawn to the idea of a modest selection of clothes which can be worn year-round (with modifications) as we live in a warm temperate climate. I work in an air-conditioned office during the week and live on a small, semi-rural acreage. 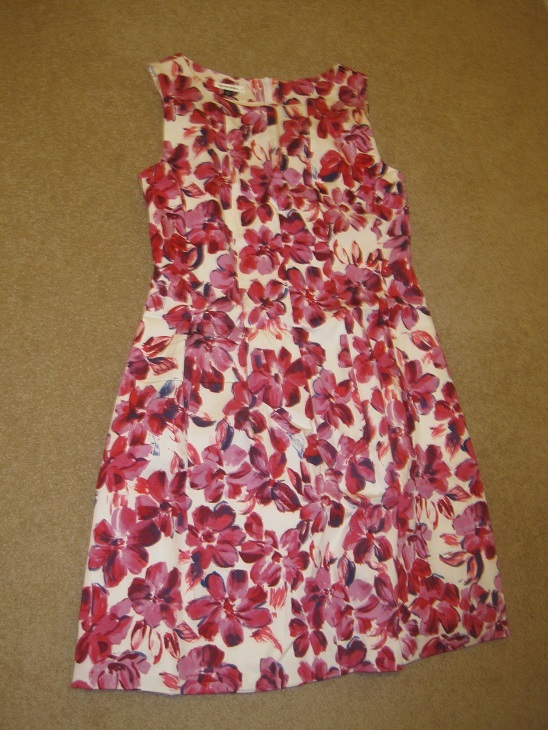 I tend to wear separates – skirts/trousers and shirts to the office and a few years ago I only owned one dress. I have since realised that it was not really my choice – I love dresses – but dresses that I found suitable and flattering were difficult to find. I now have 5 dresses plus a dress suitable for wedding/special occasions. 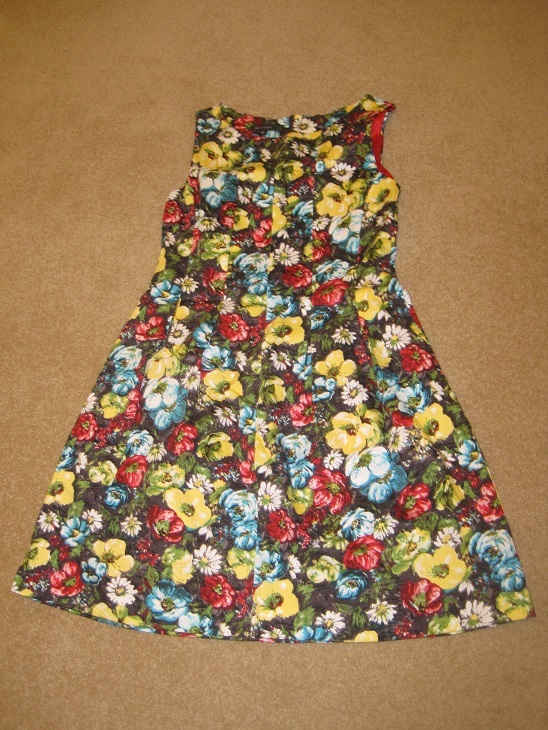 Additionally, I have fabric to make another dress and am seriously contemplating buying this one. It is identical to these two dresses I already have in my wardrobe. 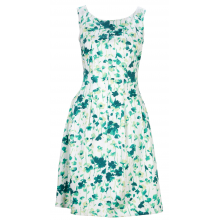 Along with a plain black and two black/white dresses these could form the basis of a year-round office wardrobe. I have a red jacket that can be worn with the two existing dresses and I would make or buy a navy jacket which could go with the new dress as well as the pink/red one. My other proposed purchase is this bag. I found it on Friday and plan to go back and buy it on Monday. I have been looking for a bigger bag for some months as I want to be able to put my laptop in it and still have space for a few personal items – purse, sunglasses, phone, car keys. 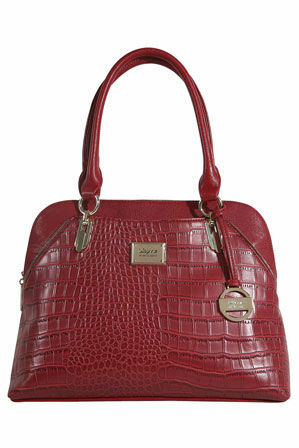 My plan is to make this the one bag that I take to work so that I am not carrying a laptop case as well as a handbag. My small black handbag will still be used on all other occasions. By judiciously choosing the additions to my wardrobe and removing those items that do not make the grade, I am gradually creating a collection of clothes that I love and which work together in a variety of ways. Unlike the earrings, my clothes are definitely a work in progress and that will continue to be the case. What was perfect 3 years ago is now worn out, looking a bit jaded, no longer a perfect fit or just not a favourite. I can see my wardrobe evolving to match my changing style.